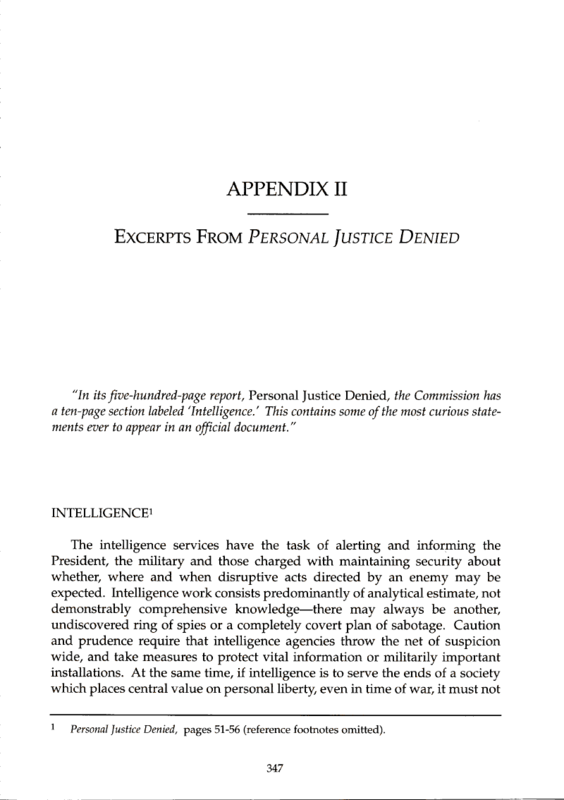 Document Notes: Includes two sections from the CWRIC report: The Intelligence Section and the Magic Addendum. The first is a folksy and annecdotal analysis of pre-war intelligence that fails to include almost all the declassified intelligence in this archive and none of the Magic. The addendum is an infantile analysis of Magic and an insult to anyone who can read. These sections are provided so that the reader may personally evaluate the accuracy, detail, substance and honesty of Personal Justice Denied in its conclusion that there was no military necessity for the evacuation.